Gyunel Couture is a brand synonymous across the world for creating the absolute finest in luxury bespoke Couture. With Its mission and continuous quest for elevating craftsmanship, glamour and reverie, Gyunel Couture has set the standard for a new era within luxury Couture. Having this honoured reputation for exquisite craftsmanship and elegant designs Gyunel Couture has become the first choice for the world’s most influential women, whilst also humbly gaining much admiration and loyal support from the world’s top fashion press. 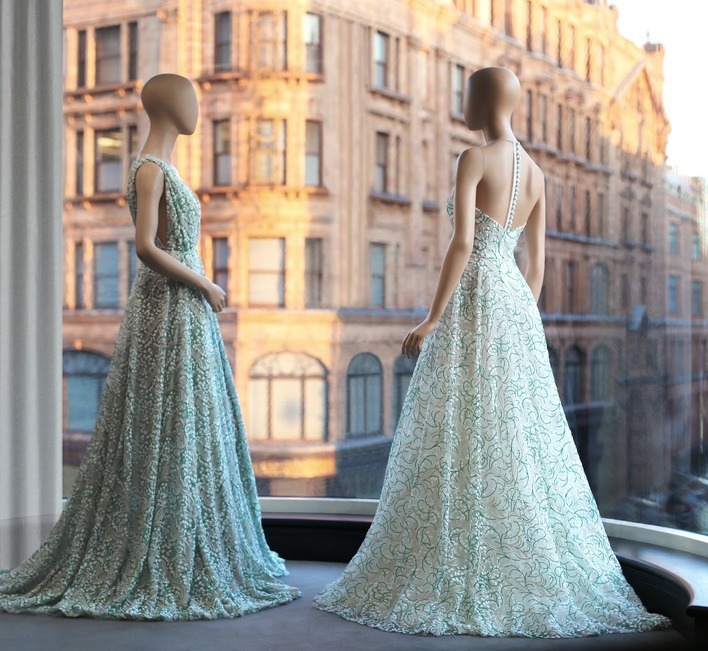 Founded by Creative Director Gyunel, Gyunel Couture caters to the world’s most elite couture clients, offering an unparalleled, by appointment-only personal service at the brand’s luxury VIP Knightsbridge showroom just opposite Harrods. A firm favourite on both the runway and red carpet, Gyunel has established a notable celebrity following, with high-profile names such as Natalie Portman, Cara Delevingne, Sharon Stone and Olivia Palermo who have attended Gyunel’s shows, with supermodels such as Erin O’Connor, Yasmin Le Bon, and Coco Rocha walking in them. Fans of the brand include Izabel Goulart, Eva Longoria, Nina Agdal and Princess Al Said, who have all beautifully graced Gyunel Couture.